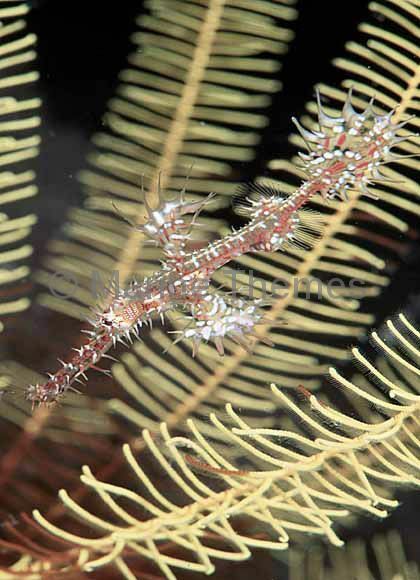 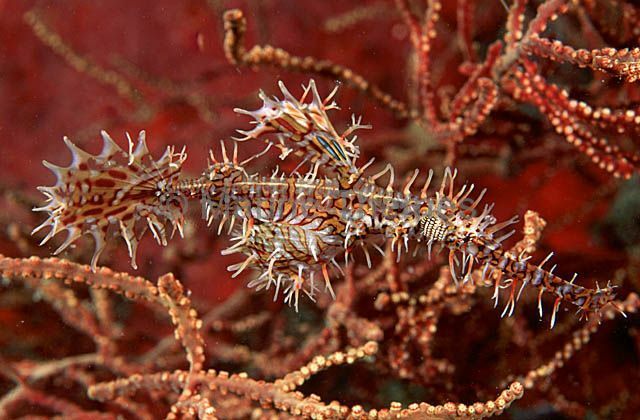 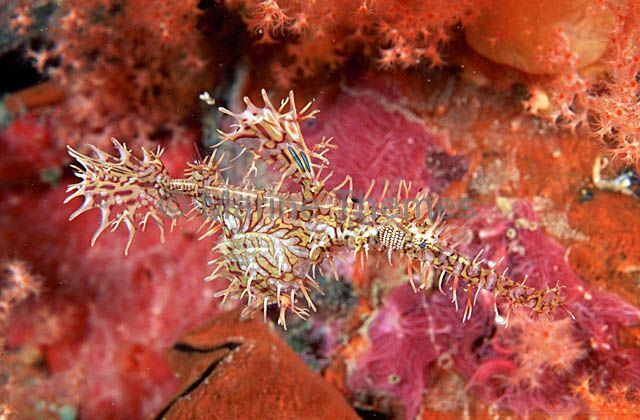 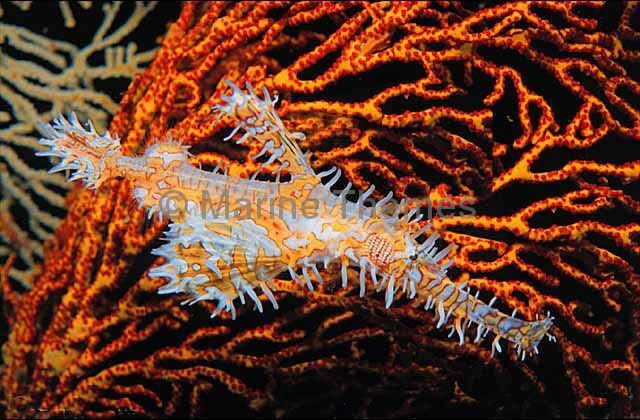 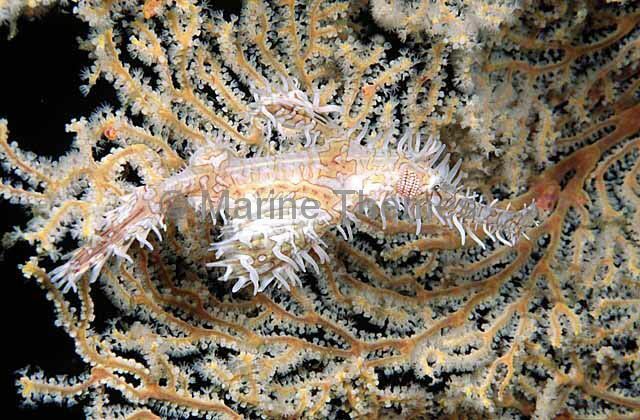 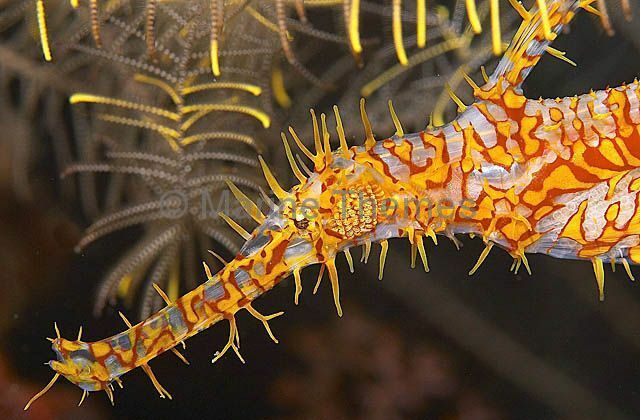 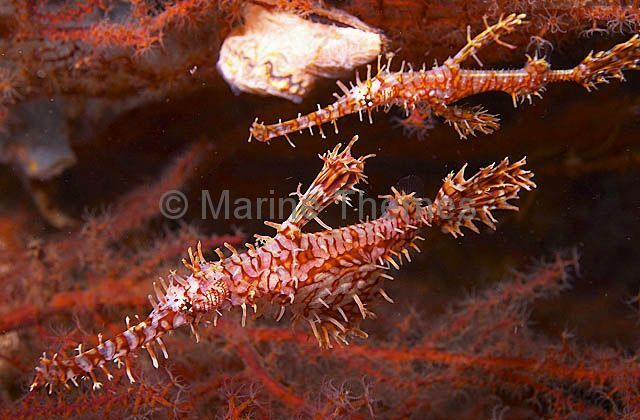 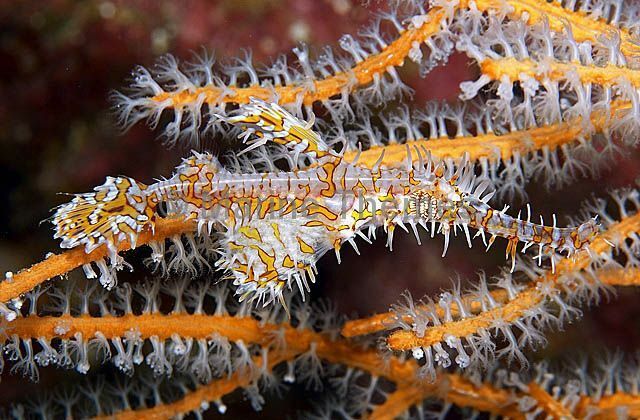 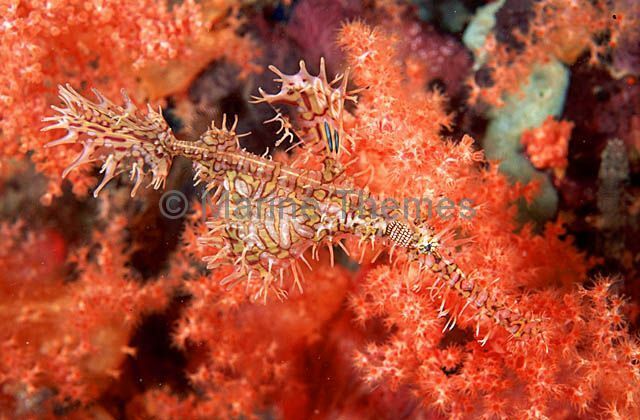 Harlequin Ghost Pipefish (Solenostomus paradoxus) Camouflaged to imitate sea fans, crinoids and soft corals. 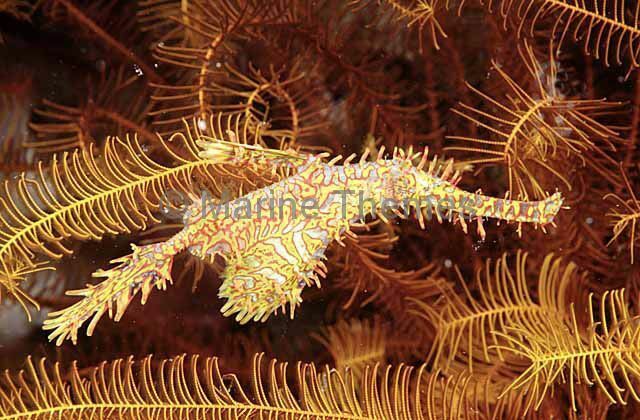 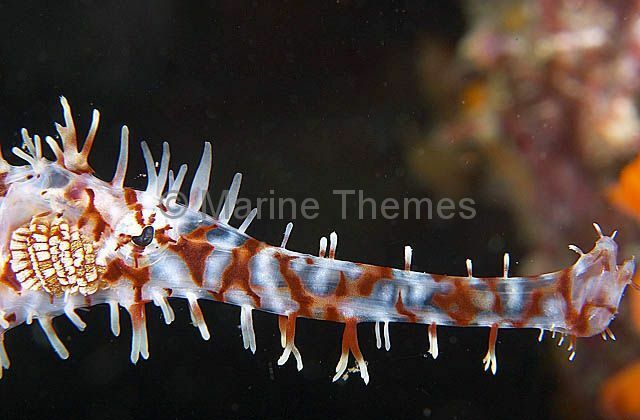 Harlequin Ghost Pipefish (Solenostomus paradoxus) Camouflage imitates sea fans, crinoids and soft corals. 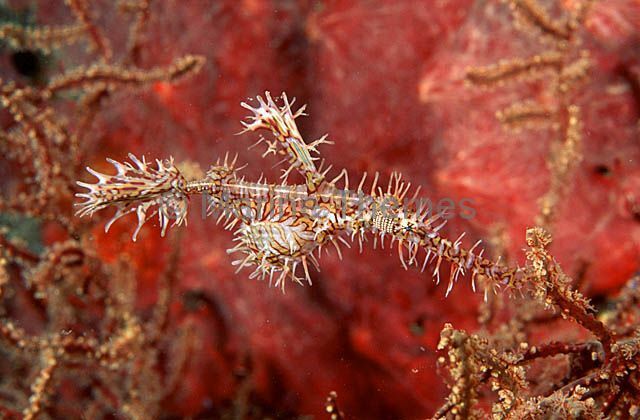 Harlequin Ghost Pipefish (Solenostomus paradoxus) feeding on Periclimes Shrimp. 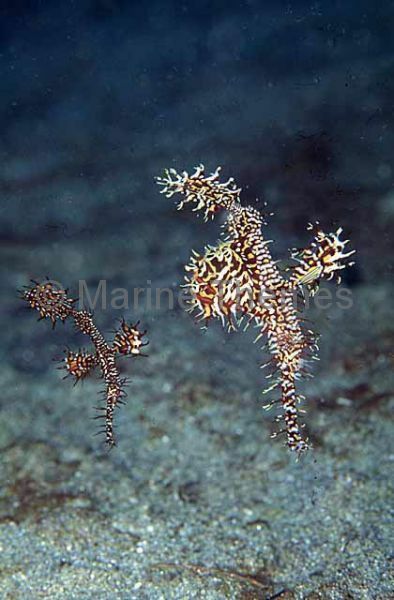 Harlequin Ghost Pipefish (Solenostomus paradoxus) Male and female pair. 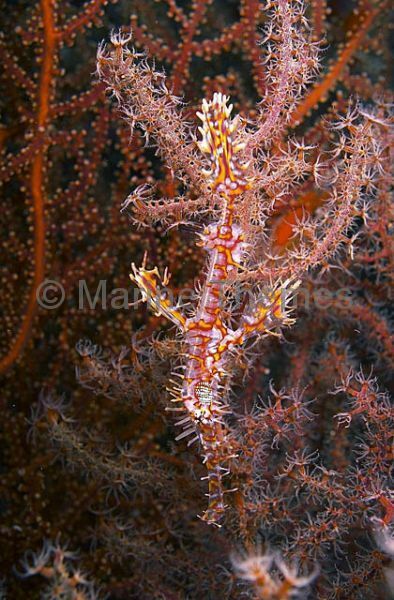 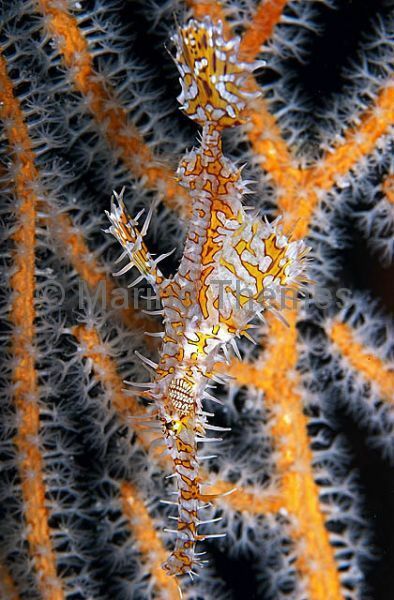 Harlequin Ghost Pipefish (Solenostomus paradoxus) floating vertically in Gorgonian Sea Fan. 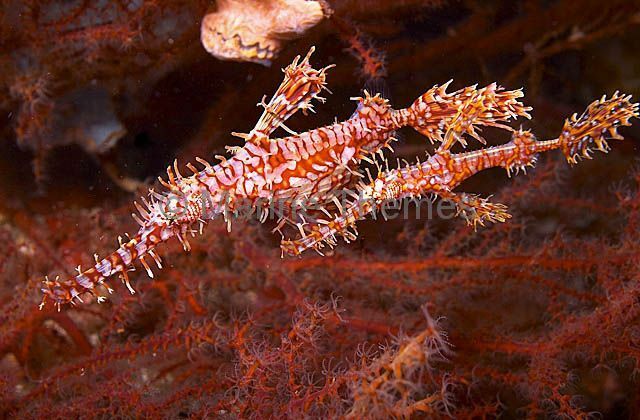 Harlequin Ghost Pipefish (Solenostomus paradoxus) Male and female floating above host Gorgonian Sea Fan. 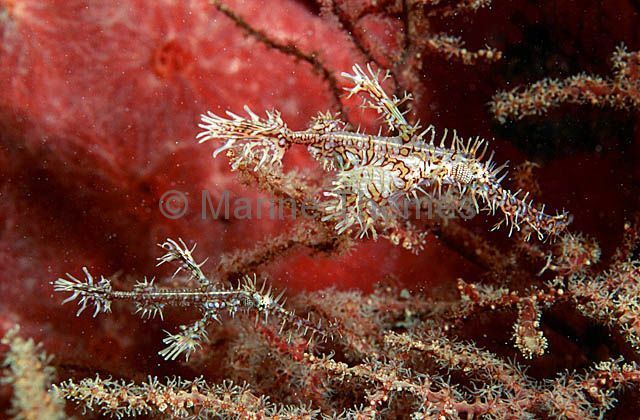 Harlequin Ghost Pipefish (Solenostomus paradoxus) with filiments to imitate Crinoid on coral reef. 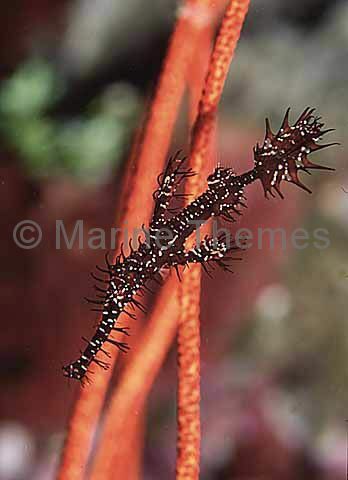 Harlequin Ghost Pipefish (Solenostomus paradoxus) hanging vertically to camouflage against sea fan. 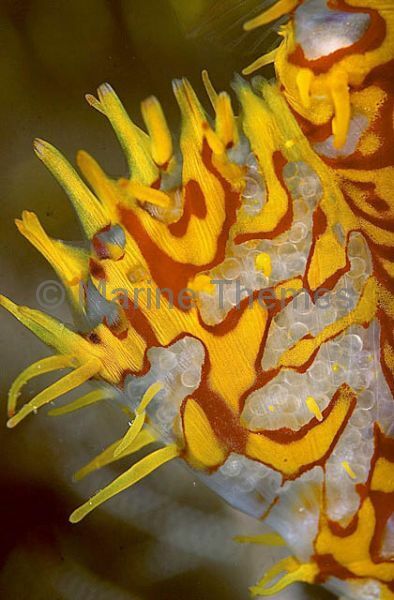 Harlequin Ghost Pipefish (Solenostomus paradoxus) egg pouch full of eggs. 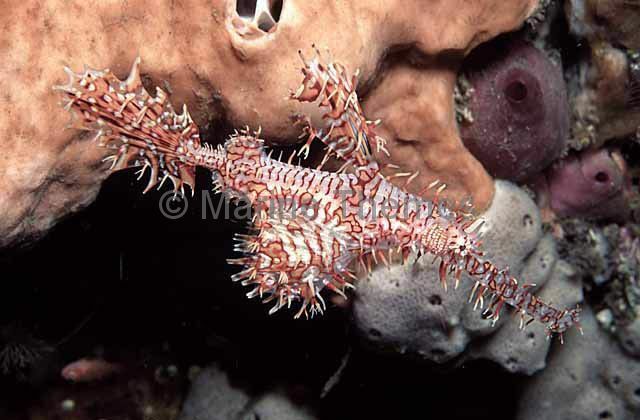 Harlequin Ghost Pipefish (Solenostomus paradoxus) Portrait showing snout tassels.